The Big Z Challenge is an annual charity event hosted by Dr. Bryan Hoertdoerfer. The Big Z Challenge is an annual charity event hosted by Dr. Bryan Hoertdoerfer, and features Boston Bruins Captain Zdeno Chara. This year’s event was held on February 25, 2019. Boston Bruins captain Zdeno Chara participates in the event, giving local fans a chance to meet “The Big Z” and have a once in a lifetime experience. Funds raised at the event support outstanding healthcare in Southern New Hampshire through the Mary & John Elliot Charitable Foundation. This fun and rewarding fundraiser has raised over $150,000 thanks to the support of our sponsors and attendees. Hoertdoerfer Dentistry is proud to announce this year's funds will benefit the planned expansion of the new $29M Elliot Regional Cancer Center. The Big Z Challenge features an actual “challenge” where younger fans face off against Chara, in a hockey related activity, such as a street hockey shooting competition or a one-on-one air-hockey game. Participants have the opportunity to win exclusive prizes including tickets to Boston Bruins home games, autographed memorabilia, and more. 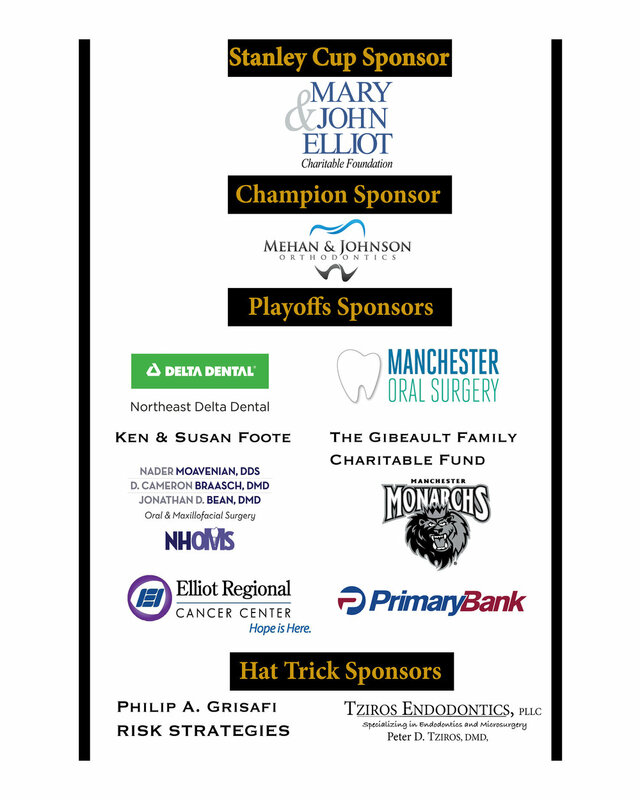 Sponsorship opportunities are available each year for the event, and include an exclusive VIP reception prior to the event, along with other great incentives. Tickets to the event are very limited to create a more intimate event where fans get some real one-on-one time with Chara.